Autodesk BIM 360 Docs is one component of a broad range of products Excitech can offer at each stage of the construction process. 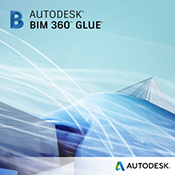 Download the BIM 360 Document Management Guide below. Document management may not be the most exciting part of the construction process, but making sure project teams have access to the right information at the right time is an essential task to completing a successful project. Many problems on job sites - cost over-runs, delays and re-work - occur because project teams do not have access to the most current set of documents. Built specifically for the AEC industry and designed to connect contractors and construction project teams, BIM 360 Docs delivers a complete, connected solution to manage all 2D plans, 3D models and other project documents. Building Informaiton Modelling (BIM) is a process that involves creating and using an intelligent 3D model to inform and communicate project decisions. Control the release of information to the field at project, role and document level to ensure a single source of truth across document contributors, curators and consumers. Create and manage 2D and 3D markups, including support for design review and communication workflows. Extract drawing sets from up-to-date, coordinated models, automatically extract title block data, and maintain set linking and data references. Whether you work in 2D or 3D, store documents on your network or in the cloud, and access them from the office, trailer or site, we have you covered. One system, all project documents. Contact us to explore the functionalities of this tool.